Although most authors use this Q&A page to post questions about how to get a literary agent… you can ask me anything about writing, publishing, and/or marketing your book(s) below. It doesn’t matter what genre your book is (fiction, nonfiction, or children’s books), and it doesn’t matter how far along you are in your process. I’ll do my best to help. My name is Mark Malatesta and I’ve worked in the publishing industry most of my life. As a literary agent, I secured contracts with publishers such as Random House, Simon & Schuster, and Prentice-Hall. I also served as the Marketing & Licensing manager for the publisher Blue Mountain Arts. Now, I’m helping authors get top literary agents, publishers, and book deals as an author coach. The only thing I love more than books (aside from my wife and our two cats) is helping authors get their books out into the world in the best way. That’s why you’ll find a treasure trove of valuable information (and inspiration) on my websites, including my answers to the 50 questions (below) I’m most asked by authors. I’m happy to answer your question(s) too. If you want to post a question, make sure it isn’t answered in the FAQ section below first. I’m not going to answer questions that have already been answered. Also, please note that your question/comment will be posted publicly. If you want to remain anonymous, type “Anonymous” in the name field. Either way, your email address will remain private and you’ll receive an email when a reply has been posted (usually within 48 hours). I’ll do whatever I can to point you in the right direction. I look forward to helping you achieve your publishing goals. 1. What do I need to know about traditional publishing vs. self-publishing, and which publishing companies are the best? Read these articles: http://literary-agents.com/best-publishing-companies/, http://literary-agents.com/should-i-self-publish-my-book/, and http://literary-agents.com/self-publish-a-book/. 2. What size advance payment can I expect from a traditional publisher? The size of your advance will depend on four things. First, the genre of your book. In general, the bigger and/or more popular the category is, the bigger the advance. Second, if you have an agent, and you have a good agent, you’re more likely to get a bigger advance. That’s one of the things that separates good agents from mediocre agents. And, third, the size of your advance will depend on whether you have just one publisher who wants your book, or more than one. If you have more than one publisher, they might bid against each other. When that happens, the size of your advance could double, triple, or more. Ultimately, publishers consider all the above and base the size of an author’s advance on how many books they believe they’re going to sell during the first year of publication. 3. Is it possible for a writer who's never published anything to get a top literary agent, publisher, and book deal? Most of the authors I’ve helped get published with major publishers like Random House as a literary agent and, now, as an author coach, were previously unpublished. In many cases, they were self-described nobodies who didn’t think of themselves as writers or authors, but they believed they might have written a good book. You have to start somewhere as an author, so don’t let your fear of not having a bigger platform or publishing history stop you. Having a great book is what matters most. And most successful agents and publishers never tire of discovering the next great book. It never gets old. 4. Does my book need to be finished before I contact agents or publishers? Fiction Authors (all genres): You’ll need a completed manuscript (no exceptions), as well as a 1-2 page, double-spaced synopsis. A small number of agents will also ask for a long (5-6 pages, double spaced synopsis) and/or a chapter-by-chapter synopsis, and/or a fiction book proposal. Nonfiction Authors (all genres, including memoir and narrative nonfiction): You’ll need a partial manuscript (three sample chapters, not necessarily the first three), as well as a complete book proposal with chapter summaries for the entire book (even if the book is already complete). Picture Book Authors: You’ll need a completed manuscript (no exceptions). A small number of agents will also require you to have a second completed manuscript to submit your work. 5. What do I need to know about copyrighting my book? 6. What are literary agents and how do they work? Read my 9-part Guide to Literary Agents here: http://literary-agents.com/guide-to-literary-agents/. It reveals: what agents are, what they do, and how they work; pros and cons of hiring a book agent; how agents get paid; requirements to be an agent; a brief history of agents; and tips to help you determine whether you should try to get an agent. 7. What's the #1 thing I can do to increase my chance of getting an agent? Listen to (or read the pdf transcript) of my most popular audio training (67 minutes), 7 Insider Secrets You Need to Know to Get a Top Literary Agent, Publisher, and Book Deal. To access the recording and transcript (no charge), click here: https://thebestsellingauthor.com/membership/. Once you enter your name and email address, simply click on the link that says, “Audio Training Library” and the training mentioned above is the first recording/transcript on the page. 8. Are agents prejudiced about age, education, location, ethnicity, lifestyle, beliefs, etc.? Authors sometimes think agents and/or publishers are prejudiced when it’s not that at all. The real problem is that some authors have a narrow focus in their work that isn’t very inclusive or commercial. This is particularly true when it comes to “special interest” authors whose writing explores: race, religion, politics, sexual identify, etc. No matter how inclusive your writing is, it isn’t going to interest everyone. Some agents are very eclectic and open to reading books by any author about anything. Others aren’t, and only look for certain things. Me? I’m one of those open and eclectic people I described a moment ago. I don’t have any agenda with authors except to help them see the range of options and opportunities, based on their beliefs and goals. The clearer you are about your goals, and how your work is going to come across, the easier it will be to get the desired response from literary agents, publishers, and readers. Old authors: Read this article: http://literary-agents.com/old-authors/. Young authors: Read this article: http://literary-agents.com/young-authors/. Education: Your education won’t be relevant unless you’re writing a nonfiction book as an expert. In that case, your education might be important. But research and life experience might be acceptable as well. One way or another, as a nonfiction author (not memoir or narrative nonfiction) you’ll need to show agents and published why you’re qualified to write about your topic. Location: This isn’t usually relevant, but if you’re trying to get a literary agent in the U.S. and you live outside the U.S., make sure you scroll below and read my FAQ section for International Authors. 9. Where can I find the best agents interested in my type of book? Find literary agents interested in your book using our Directory of Literary Agents (no charge). It’s the most comprehensive (and accurate) list of literary agents in the world (in print or online), and you can access it here: http://literary-agents.com/directory-literary-agents/. 10. What do I need to know about the AAR (Association of Authors' Representatives)? Our 5-part article series contains everything you need to know about the Association of Authors’ Representatives: history, mission, Canon of Ethics, requirements to be a member of the AAR, and how to find contact information for active members. Click here to read the article series: http://literary-agents.com/association-of-authors-representatives/. 11. How can I avoid bad literary agents? Read our guide to finding the best literary agent for you here, which includes an article about how to identify and avoid bad literary agents: http://literary-agents.com/best-literary-agent/. 12. Should I try to find a literary agent where I live? It’s more important that you find the most established agent with the best track record of sales who believes in you and your book and shares your vision for your writing. Read this article series about finding the right literary agent before deciding who you want to submit your work to: http://literary-agents.com/finding-a-literary-agent/. In particular, make sure you read the section about New York literary agents located here: http://literary-agents.com/finding-a-literary-agent/new-york-literary-agent/. You should also know that most agents aren’t going to meet with you in person unless they’re already representing you and/or they’ve already gotten you a book deal. One exception is the opportunity to meet with literary agents at a writers’ conference (learn more about writers’ conferences here in this article I published with Writers Digest): http://literary-agents.com/writers-conference-part-01/. Despite what I just stated above, you can certainly submit your work to agents in your area if there are any. 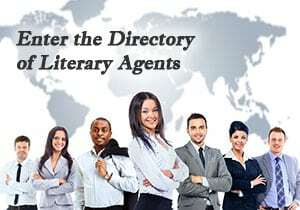 You can search for literary agents by location in my Directory of Literary Agents that you can access here (no charge): http://literary-agents.com/directory-literary-agents/. Once you’re in the directory, after you’ve entered your name and email address, use the drop-down menu and scroll down until you see the location categories. 13. Is the only way to get a literary agent through a referral? 14. How many agents should I query at one time and what do I need to know about simultaneous submissions? The phrase “simultaneous submissions” can mean two different things. One type of “simultaneous submission” is querying more than one agent at the same agency at the same time. You should never do that because agents don’t want to “compete” with other agents at their agency. Why? No agent wants to spend the weekend reading your manuscript, only to find out Monday morning that you already signed a contract with another agent. The other type of “simultaneous submission” is querying different agencies at the same time, which you should do. Otherwise it will take you years to get an agent, since some agents take months to respond (or never respond). However, 99% of the time I suggest authors refrain from letting agents know they’re submitting to multiple agencies. It’s essentially none of their business, unless an agent responds positively to your query and asks to see more material but only on an exclusive basis (meaning they won’t look at it unless you say you’re not going to show it to any other agent while they’re considering it). If that happens, you’ll have to decide how you want to handle it based on: how many queries you’ve sent out, who the agent is, exactly what s/he’s said, and whether anyone else is already reading your material. As long as you’re only querying one person per agency at a time, you can send out as many queries as you want. However, you should only query the very good to great agents before you start querying less successful agents. I always tell my coaching clients that we’re going to send out a small number of queries in the first round (10-40). The general idea is that I like to see my clients get some type of positive response (a request(s) for more material) based on a small first round of submissions, before encouraging them to send out more. That way, if the query isn’t working (or working as well as I’d like), I can still tweak something before sending out more. That’s why I would never send more than 40 initially. It gives you time to adjust. Another thing that affects my decision about how many queries to send out initially (closer to 10 or closer to 40) is how many agents are interested in your genre. If there are many hundreds of agents in your genre, I’d say you can be more aggressive and send 40. If you’re writing something like Christian Fiction (on the other hand) with a much smaller number of agents to choose from, I’d start with 10. Read this article for more information about simultaneous submissions: http://literary-agents.com/finding-a-literary-agent/stop-looking-for-a-literary-agent/. 15. What's the best way to write a query letter? Visit our query letter website at http://query-letter.com/. 16. If my book is part of a series, should I mention that in my query letter? Some agents like series and/or sequels. Some don’t. At least not initially. If your books stands alone (meaning a reader would be able to read the second or third book without having read the first book), then you might say that in your query. I like “softening” any talk about series or sequels that way since some literary agents and publishers (surprisingly) believe that standalone books are superior. But, if you’re successful with your first book, agents and publishers are often (not surprisingly) more open to the idea of subsequent books that would appeal to loyal readers familiar with the first book. 17. If I have more than one book, in different genres, should I mention everything in my query? Don’t do it, unless the genres are closely related. For example, if you’re pitching a young adult novel and you also have a middle grade novel in development, that’s okay to say. What you don’t want to do is seem like a jack-of-all-trades and master of none. In other words, telling agents that you have a thriller you’d like them to consider, but you’ve also written a romance novel, cookbook, self-help book, and children’s picture book isn’t might impress them. It’s more likely going to make it seem that you haven’t yet figured out what you’re best at. Seemingly focused authors are perceived as more likely to have achieved mastery. So, if and when you get an agent who wants to represent one of your books, you can let him or her know about your other projects, at that time, and see what happens. You can certainly be eclectic and successful in multiple genres, but you don’t need to share that information in your query. And you might end up having more than one agent. Read this article: http://literary-agents.com/literary-agent-menage-a-trois/. 18. What's the best way to write a book synopsis? 19. What's the best way to write a book proposal? 20. What do I need to know about nondisclosure agreements or NDAs? 21. Should I attend a writers' conference and, if I do, how should I pitch agents and/or publishers while I'm there? Read my 2-part article on how to pitch literary agents at a writers’ conference, originally published in the Guide to Literary Agents (Writers’ Digest Books): http://literary-agents.com/writers-conference-part-01/. 22. Should I query agents via email or postal mail? 23. How should I format my query, synopsis (fiction authors), and sample chapters or manuscript? Every one of these things has different requirements and you should do your best to make them all look the way agents expect them to look. That way, agents will be able to immerse themselves in your writing, instead of getting hung up on your formatting. Document formats that agents will accept: http://literary-agents.com/get-a-literary-agent/file-format-submission-guidelines-for-literary-agents/. Manuscript formatting tips: Your manuscript should have a cover page with the title of your book, your name, and your complete contact information. Each chapter should begin on a new page, about a third of the way down the page, with chapter headers centered. You should have a header with your last name and the title of the book left justified, and the page number right justified beginning on the first page that appears after the cover page. Indent all your paragraphs, although you may or may not decide to ident the first paragraph of each new chapter and scene (after a scene break). Don’t add space between paragraphs unless it’s a scene break. Use Times New Roman font, 12-point. One or two spaces between sentences is okay, although one is now preferred. 24. I am a picture book author but not an illustrator. Can I just submit text or do I need to find or hire an illustrator? Some agents only accept picture book submissions from authors who are also illustrators (they’ll let you know on their websites if that’s the case), but most agents accept picture books without illustrations. And, unless you’re a professional illustrator and/or working with a professional illustrator, it’s usually best to wait to illustrate the work. In fact, even if you are a professional illustrator and/or working with a professional illustrator, it’s can be best to wait… to illustrate. That’s because your agent and/or publisher will likely want to edit the book and that might change the number and/or type of illustrations you need. Your publisher will also want to lay the book out in a certain way, and that might change the number and/or type of illustrations you need as well. Lastly, your publisher might want to use a different illustrator and/or artist. 25. What are good/bad/typical response times for submissions to agents? 26. What's the best way to interpret literary agent responses and feedback? 27. What should I do if my pitch to agents isn't working, or working well? Authors can often get a drastically different response by tweaking or changing something in their pitch materials (query letter, synopsis, first 50 pages, etc.). My favorite example of this is one of my coaching clients who’d pitched her #1 “dream agent” three times over the course of two years. She was rejected every time. After I helped her rewrite her query letter, she approached the same agent, a fourth time, and he requested the full manuscript. So, don’t get too discouraged. You might just be a few changes away from getting what you want. 28. Will literary agents in the U.S. consider books by authors living abroad? Most literary agents in the U.S. will consider any book if it has appeal for the American market. In other words, the primary focus and value of the work needs to include content that an American reader can relate to. If you do that, you can write about anything, anyone, and anyplace. 29. Can I get a literary agent if my book isn't in English? If you want to query agents and/or publishers in the U.S., you will almost always need a translation that’s in English so they can read it. If you’re already famous or well-known, and if your book is already selling well abroad, you might get away with doing less translation initially and get help from the publisher with the rest. But probably not agents. 30. What's the best way to approach agents regarding a book that's already been published? It’s never too late for a previously published author to get a literary agent, traditional publisher, and book deal. But it can be tricky. Read this article which talks about that, and a few other things you might find interesting and helpful: http://literary-agents.com/its-not-what-you-say/. If your book is currently under contract with a vanity press (one that you paid), they will probably let you out of their contract (although you might have to pay them a small fee). They usually let authors do this because vanity presses make all (or, most) of their money on authors paying them to publish their work. Look at the fine print in your contract, the publisher’s website, or ask them about it. However, you might want to wait and see if you can get interest from agents first, before you terminate your contract with the vanity press. Getting out of a contract with a smaller but legitimate press (one that didn’t charge you to publish) is also possible. But you, or your new publisher, might have to pay them significantly more for the privilege. 31. What genre does my book fit into? I often tell my coaching clients they’ll need to call their book different things, depending on who they’re pitching. That’s because some books can be categorized in different ways. And that’s a good thing because it means those authors can pitch their book to more agents. For example, if you’ve written a thriller and you haven’t been able to get an agent that you know represents thrillers, there’s still hope. You can then begin pitching appropriate agents who represent commercial fiction, mainstream fiction, and/or general fiction because some of those agents might be interested in your work. To help you figure out which genre(s) your book fits into, look at our book genres website at http://book-genres.com, which has definitions for every genre that agents represent. 32. What's the best word count for a book in my genre and what can I do if my book is too short or too long? Authors often get confused about the best word count for their book because they don’t realize that books by first-time authors have stricter requirements. One author I spoke with once told me, “My novel for young readers can be 800 pages because two of J.K. Rowling’s Harry Potter books are 800 pages.” I replied, “She’s famous and can get away with that. Go look at her first book in the series. It’s less than 300 pages.” It is possible to get an agent, publisher, and book deal for a book that’s above or below the normal word count for your genre… but it can be tricky. Read this article which talks about that, and a few other things you might find interesting and helpful: http://literary-agents.com/its-not-what-you-say/. 33. Which genres are best and/or most popular? 34. How can I write a bestseller? Read this article series talks about what a bestselling author really is and how to become one: https://thebestsellingauthor.com/how-to-become-a-bestselling-author/. 35. How can I make my book "high-concept"? 36. How can I "raise the stakes" in my novel? 37. What's the best way to write a book that will support my business? 38. Should I hire a freelance book editor or ghostwriter? Editing: I’m a big fan of getting editing support, but it’s not always necessary. You might be further along than you realize, so it could be worthwhile to have someone look briefly at your work before investing the time and money that working with a decent editor will require. Good agents will give you some feedback about how to improve your work as well, if you’re fortunate enough to get agents reading your work. And sometimes that’s all you need. Ghostwriting: If you don’t want to take the time to write a book, or you don’t feel you have the skill required to do a great job, you can hire a ghostwriter instead who will help you write your book. 39. How can I improve my "author platform" or "promotional platform"? Advising authors about how to get more exposure or improve their platform is difficult because the best marketing strategies are going to be different for each person… based on their unique goals, skill sets, personality, lifestyle, and time/money resources. There are literally hundreds of ways to improve your platform and get more exposure, but, to be successful (and happy) you need to find the few strategies that are right for you. This article is a good first step: http://literary-agents.com/author-platform/. 40. What do I need to know about having (or not having) an author website and what makes a good one? Read this 3-part article with information about what you about having and/or creating an author website: http://literary-agents.com/author-website/. 41. What do literary agents think about social media for authors? 42. Will you tell me what you know about a specific agent, publisher, editor, event, website, organization, etc. (or make recommendations or introductions)? I don’t answer questions on my websites about specific agents, publishers, editors, events, websites, organizations, etc. If I did, I’d be inundated with such requests—and it’s a very subjective process. In other words, what’s right for someone else might not be right for you. However, I’m happy to answer questions like that during an introductory coaching call, during which I’d have sufficient time to make sure my recommendations are good ones, based on your unique situation. Click here to learn more about scheduling an introductory coaching call: http://markmalatesta.com/mark-malatesta-author-coaching/. 43. Will you forward a message or submission to a specific agent, author, or publisher for me? I’m not able to forward any requests or messages to the literary agents, authors, or anyone else listed or feature on our websites. If I did, I’d be inundated with such requests. 44. Will you be my literary agent? No. I’m no longer a literary agent. I’m now fully committed to helping authors get literary agents, publishers, and book deals as an author coach. 45. Will you promote something for me on one of your websites, in your newsletter, or on social media? No. Although I do promote things on my websites, in my newsletter, and on social media but it is always something I initiate. Otherwise, I’d be inundated with such requests. 46. Will you review and comment on any of the following: marketability of my book idea, quality of my writing, query letter, synopsis (fiction writers), chapter summaries (nonfiction authors) book proposal (mostly nonfiction authors), website/blog, book cover, book trailer, etc.? I answer general questions online here (below), no cost. If, however, you want feedback on your book idea(s) and/or sample pages, query letter, synopsis, book proposal, website/blog, etc., you can get that by registering for an introductory coaching call here: http://markmalatesta.com/mark-malatesta-author-coaching/. 47. Can I work with you 1-on-1 to get a literary agent? Yes. You can register for an introductory coaching call with me here: http://markmalatesta.com/mark-malatesta-author-coaching/. 48. Can you help me get an agent for poetry, short stories, or academic books? Probably not. Most literary agents won’t represent authors of books for the academic market because they’re not profitable enough to be worth the agents’ time. And it’s extremely difficult to get a literary agent or publisher for a collection of poetry or short stories unless you’re already a well-published and/or award-winning writer. The good news, however, if you write poetry and/or short stories, is that it’s not that hard to start getting standalone poems and/or short stories published. You simply must be patient and persistent submitting your work to journals, anthologies, contests, etc. Poets, of course, often make wonderful essayists, short story writers, and novelists. And short story writers often expand one of their short stories into a novel, while seeking publication and awards for some of their individual stories. 49. Can you help me get an agent for stage, TV, or feature film? Not exactly. Although some authors I’ve worked with have had their work adapted for TV, stage, and feature film, my main specialty is helping authors get literary agents, publishers, and book deals. That often leads to interest in the other areas, through the author’s agent or publisher. Most agents who represent books help authors with subsidiary rights including TV/film as well as English editions in other countries and international editions in other languages. Agents often partner with another agency (co-agenting or sub-agenting) with another successful agency to handle subsidiary rights. 50. How can I post a question? Simply scroll below and fill out the form! If you want to post a question, make sure it isn’t answered in the FAQ section above first. I’m not going to answer questions that have already been answered. Please note that your question or comment will be posted publicly. If you want to remain anonymous, enter “Anonymous” in the name field. Your email address will remain private and you’ll receive an email notification when a reply has been posted (usually within 48 hours). Since I love to pick a topic and find out the many sided thinking of people, I read many books from many cultures, talk to others, and have experienced the following topics: Self-Within, Soul, Spirit, and Divine. At present my manuscript is 3 inches thick and 11 years old. My first book was ‘Soul Within”. How does one present a research form? Hi, Mark. I have great number of unpublished books which I want to publish. I am an international writer, and I have some books already published. How soon can I start doing the with you? I’m ready. How much does the longer term coaching program cost? Because I plan on doing it. It depends, varies by project…and we’d both have to feel like it’s a good fit after the first call to see if it makes sense to do more together. So my suggestion is only commit, in your mind, if you want to do coaching, to just the first call. It will be valuable whether we end up doing more together after that or not. If you want help with anything else, you can post more questions online here: https://thebestsellingauthor.com/ask/. If you don’t want to do coaching or can’t do coaching, please just use the no-cost resources I’ve sharing with you previously. If you want help with anything else, you can post more questions online here: https://thebestsellingauthor.com/ask/. I answer questions (no cost) on the page where you posted your message, located here: https://thebestsellingauthor.com/ask/. If you want to schedule a coaching call, however, there is a fee for that. Agents work on commission but not editors or coaches such as myself. If you haven’t already done so, you should click here to access all the valuable resources we have about getting an agent in our private, members-only area (also no charge): https://thebestsellingauthor.com/membership/. Once you’ve entered your name and email address there, click on the link that says, “Audio Training Library”. Then you’ll see my main audio training (with a text transcript), which reveals the 7 Insider Secrets You Need to Know to Get a Top Literary Agent, Publisher, and Book Deal. You’ll likely find that valuable as well. Most of your reviews from your clients all in the fine print all say that they got the results they did from working with you long term. What does that mean? A small number of the authors who schedule an introductory coaching call with me do more with me in a longer-term coaching program that is an additional fee with additional work involved. Most people just do the one call, and then go implement what I told them. Some of those authors get agents, too. If you want help with anything else, you can post more questions online here: https://thebestsellingauthor.com/ask/. Do you recommend literary agents for us from your directory or the people you know? Or do we have to find one on our own with the advice you give us? I don’t recommend or refer agents on a call like that, though I do help authors understand the types of agents they should be targeting…and I help them understand how to tell really good agents from pretty good and not so good agents. If you want help with anything else, you can post more questions online here: https://thebestsellingauthor.com/ask/. I mean how long does the entire process take? Aside from the one hour coaching call. How long do you think it will take you to get us into contact with an agent that suits our needs. How long will the entire process with you take? Reading our manuscripts, your questionnaire, all of it after the one hour call is over? Nothing happens after the call, except an author implementing the advice I share during the call. It’s not a coaching program. It’s a single phone call. I explain that on the registration page, so I’m not sure what the confusion is. Please don’t register for a call as I don’t want you to be disappointed, since you’re expecting something different than what I actually do. However, as you know, you can post questions online for me here and I can be perhaps be helpful in that way: https://thebestsellingauthor.com/ask/. How long does the entire process take? The whole 297$ package? What do you mean by how long the process takes? Let me know here and I’ll reply promptly: https://thebestsellingauthor.com/ask/. Could you please tell me if TCK Publishing is considered a traditional publisher? If you look at question #1 on my Frequently Asked Questions on the page where you posted your message, located here, you’ll see my thoughts on how to discern between good and not-so-good publishers (the words they use aren’t as important as what they do): https://thebestsellingauthor.com/ask/. I also explain in the FAQ that, for various reasons, I’m not able to rank or rate publishers. But I’m happy to help with other things so please don’t hesitate to post more questions. Will a PayPal account work to pay for the coaching call? Or does it have to be a credit or debit card? Also, with this whole 297$ package, will you be with us every step of the way? And how long the process take. Finding me an agent,reading our manuscripts etc. Yes, there’s a PayPal option…but please don’t register unless you’ve read the registration page carefully and you’re clear what you’re signing up for. It’s just an introductory coaching call. That means I help with several different things, and I read the 50 pages of an author’s manuscript…but not the whole thing unless it’s a children’s picture book or a chapter book that’s shorter than 50 pages. If you want help with anything else, you can post more questions online here: https://thebestsellingauthor.com/ask/. Notify me via email when my comment receives a reply.